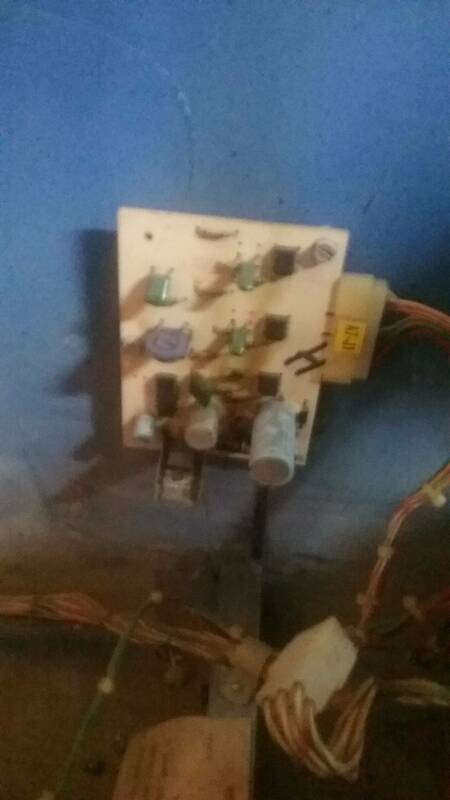 » Forum » Tech » Tech: Early solid state » System 1 soundboard switch-a-roo. » System 1 soundboard switch-a-roo. You're currently viewing posts by Pinsider noflip95. Yes, you can very well control the "bip-blup-555" Gottlieb board from a different source. 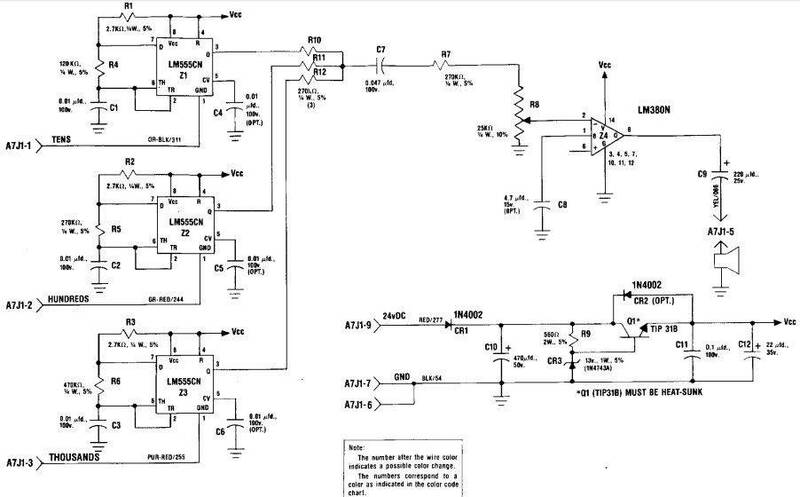 This card is very basic, it has three circuit-based oscillators 555, each triggered by the grounding of a pin. The three frequencies generated (594 Hz, 266 Hz and 153 Hz) are then mixed and amplified by a LM380. It require a 24 v DC power on pins 9 and 6/7 (GND). The board has been designed to replace directly the xylophone coil controls (similar, activated by grounding).